Touched by Tradition! This stately home is situated on an over-sized, beautiful lot bordering a peaceful stream that flows into Haven Lake. 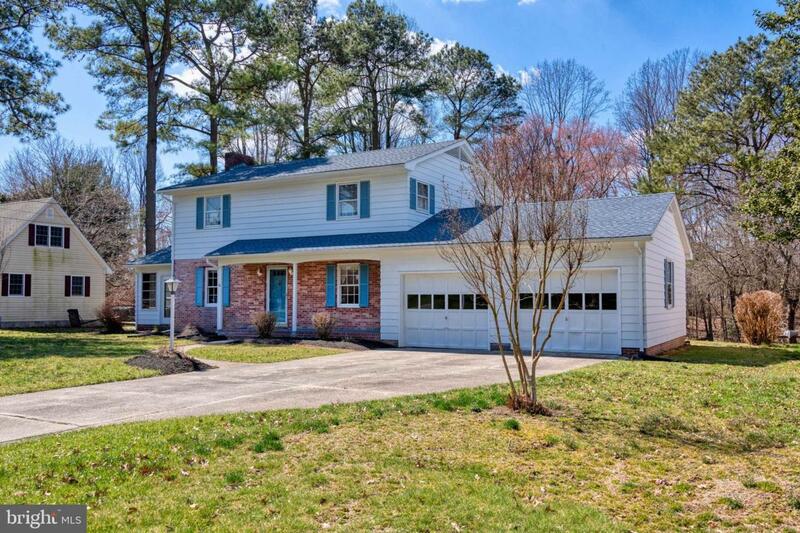 This home is appointed with solid hardwood floors throughout...including the bedrooms. The family room with wood burning fireplace opens onto the sun room to expand your leisure activities. The formal dining room is ideal for entertaining friends and family. The second level offers 4 bedrooms & 2 baths. Unlike so many of the new homes, this home offers abundant storage space with a full basement & attic. You will love the community of North Shores - skirting Haven Lake on the North side, & the easy access to Rt. 113, Rt. 1, and just a few miles from the new Bay Health Medical Center. Your family's dream home can be a reality...call and schedule your appointment today!